Things haven’t been the same since realizing we were both perfectly capable of creating pretty cocktails at home. Aside from his love of hard to find scotch, JD and I have preferred mixing our own drinks at home. Go ahead and call us antisocial, but $14 cocktails add up quickly. 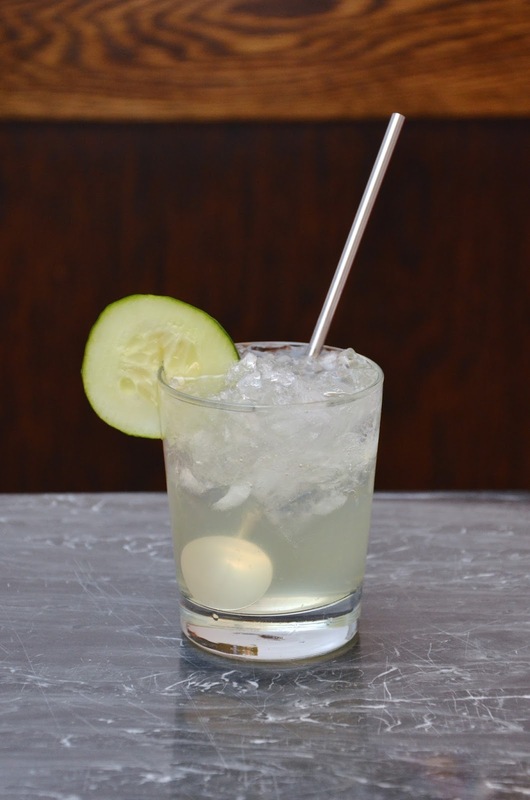 The other day while browsing the menus of several cocktail bars we’d like to try for happy hour I came upon a drink that combined coconut water, cucumber, and my beloved gin. I can’t say I’ve ever seen a coconut water cocktail before and felt the need to give it a try. Though it took a little fiddling with the recipe to get it right, I think the end result came out okay. 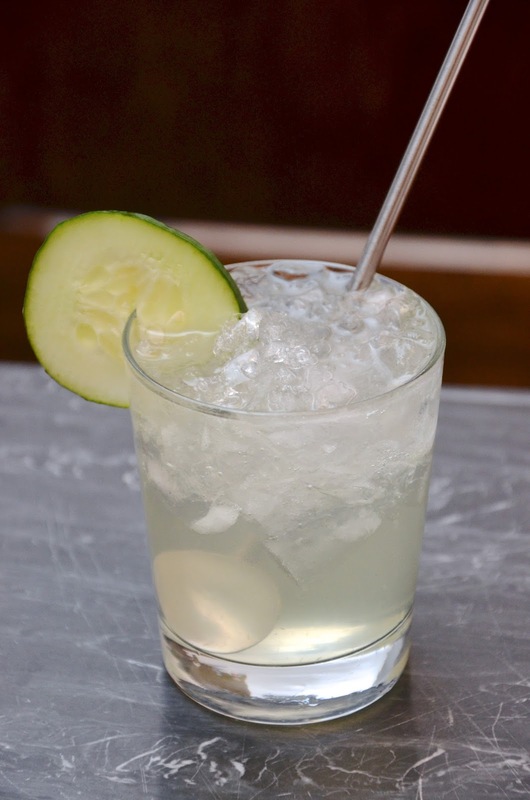 *I used Hendrick's because it's my favorite as well as the perfect pairing for cucumber. 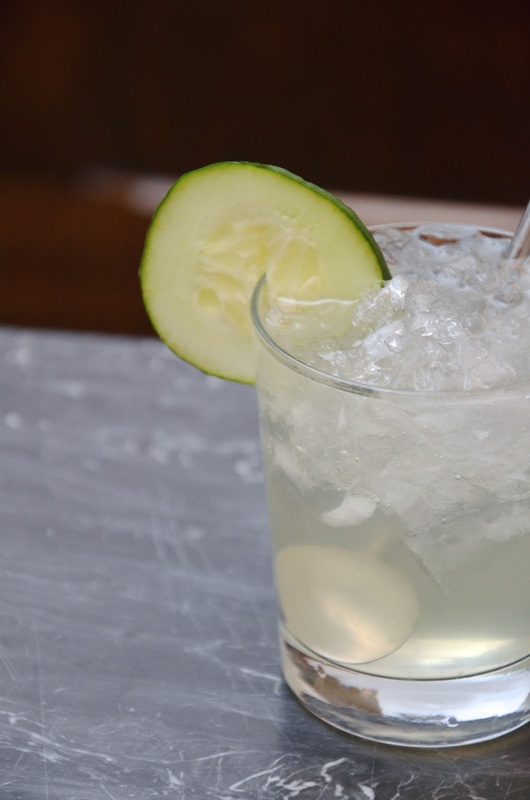 In a large glass muddle three cucumber slices with gin. Strain into a new glass over ice. Stir in coconut water and simple syrup. Garnish with the fourth slice, and enjoy! This looks so refreshing! Have a great weekend! This looks seriously refreshing. The perfect end of summer cocktail! No, thank you! Is that a metal straw? If yes, you're too awesome. I have them also and love them. Some of my guest, not so much. Apparently they don't like the way the metal feels against their teeth. I find coconut water so gross! I know it's good for you but...there is a kids flavoured version that isn't so bad! Looks pretty yummy though! Mmmmm. This sounds really good! I also take to making drinks at home. They are just so expensive out! this is my kind of drink! It sounds delicious and so refreshing! I have definitely embraced getting older and enjoying a drink at home! Yummmm!! and since it has coconut water, it's hydrating, right?! I totally agree about these cocktails adding up in $$ - it's always great to make your own! 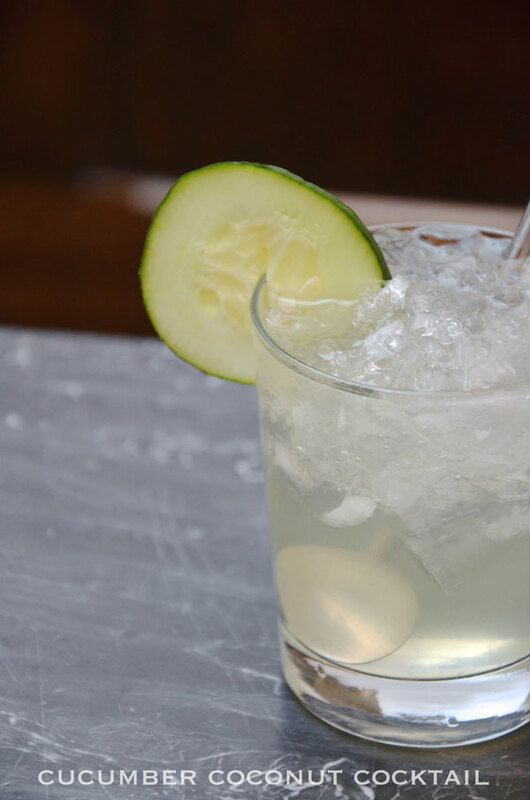 I wouldn't have thought to combine coconut and cucumber, but this looks great! I'm so intrigued. I drink lots of coconut water but never thought about using it in a cocktail! I'm excited to give it a go, thanks for the recipe! This was made for me!! Deliciousness!! I just had a cucumber juice today...cucumber cocktail is up next! Perfect way to start/end my weekend. Thanks for sharing. If you can find Caledonia Spirits Barr Hill Gin, give it a try! I think they just started distributing into the city, but it is soooo good. You will definitely like it if you like Hendrick's because it has the same floral-ness :) Excited to make these soon! Nice and refreshing - after non-stop LFW, I need it!